France Minister: Europe Must Become an 'Empire' to Compete with U.S.
Quizzed by the journalist on his reference to “empire,” Mr Le Maire said: “Do not get me wrong, I’m talking about a peaceful empire that’s a constitutional state. “I use the term to raise awareness that in the world of tomorrow, it will be about power. Power will make the difference: technological power, economic, financial, monetary, cultural power will be crucial. “Europe should no longer shy away from displaying its power and being an empire of peace,” the minister remarked. He added that the UK, France, and Germany were working on a special purpose vehicle (SPV) ‘clearing house’ that would allow European Union companies to bypass U.S. sanctions and “maintain legitimate and international trade” with the Islamic regime, with The Guardian noting last week that it could be hosted by either Germany or France. “It is clear to everyone that today it takes courage to stand in the way of the government of Donald Trump. “We want a way to exchange goods and services when financial flows between Iran and Europe are no longer possible. This is legal and under European rules. Payments remain in Europe,” Le Maire added. 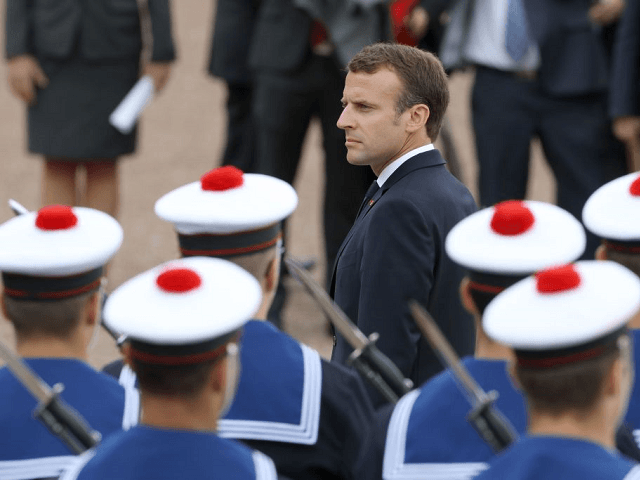 Macron has joined the ranks of Eurocrats Guy Vehofstadt MEP and European Commission President Jean-Claude Juncker in calling for deeper EU integration which could eventually lead to a United States of Europe.